That was what I expected to see. I don't see why in theory though a T/Op couldn't acccept a route to the Piccadilly line and carry on in tripcock, at least until the tripcocks are removed. The crossover between the District and Picc is being retained for Engineer's trains; the one between the Picc and District is being removed. Agree in theory, but the system is not providing Boundary functions there for S stock to allow it to Exit with latch relays set for Tripcock mode. So you'd need a tech to do that with the manual device or just continue in RM which still has the tripcock and max 10 mi/h. By the time that area is fully ATC, tripcock removal is supposed to be just around the corner for S stock, but who knows what will happen that far in the future! I was on the Piccadilly yesterday and my train from Osterley arrived at Acton Town on the District platform. Maybe though the splitting of the four tracks into dedicated lines for each Line is planned for the future (ie: not happened yet). I have worked District trains into both pfm.2 and 3 over the years but usually if the need to run via the fast lines is required District trains would still use pfms.1 and 4. 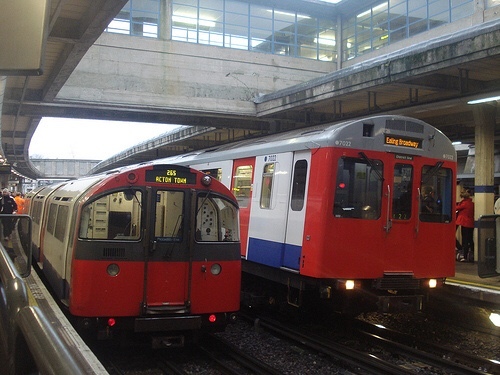 There is now a reluctance from trainstaff to accept requests to call at all stations on the fast line, as only Acton Town and Hammersmith stations are fitted with the appropriate equipment for S Stock to stop. A total ban may come in before CBTC is commissioned. At Acton Town Piccadilly trains will have access to all platforms once 4LM CBTC signalling has been commissioned in SMA 11. 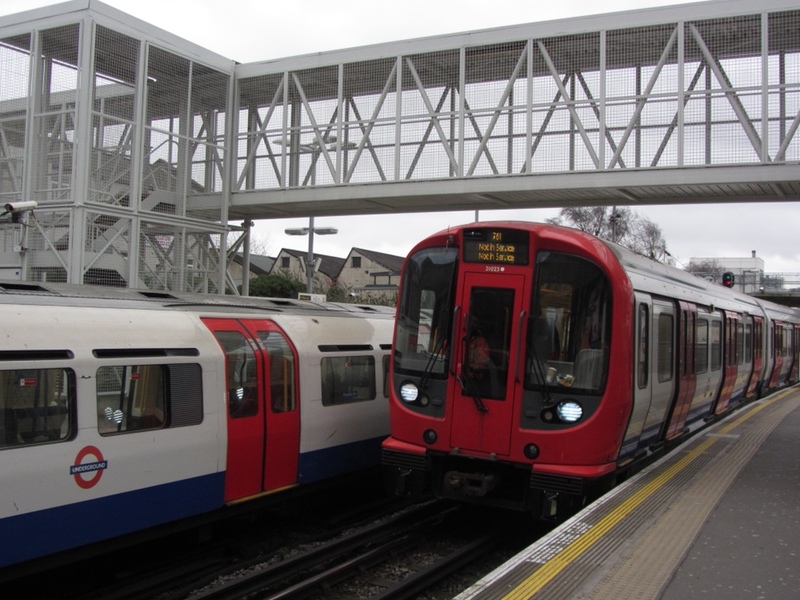 Don't think you will be able to split the platforms at Acton Town as pic uses district westbound to go down the local to west of Acton and eastbound platform if coming off the local from Northfields as well as use them for normal running and to put trains in the sidings . Personally only see splitting the lines causing more delays. 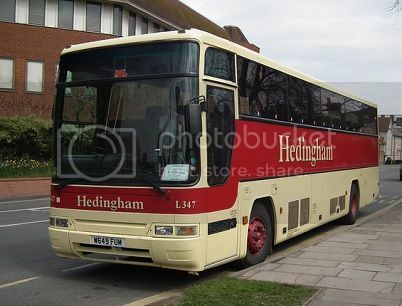 Used to happen when the District line ran a shuttle between Acton and Ealing which meant reversing via the sidings. Last time I remember that happening was in D stock days as shown in the photo below. Transmission masts and other CBTC associated equipment are now starting to spring up between the Local lines North of Preston Road. Building of SER signalling equipment rooms has now started at Richmond and Parsons Green. Was last weekend's closure of Hammersmith <-> Baker Street and High Street Ken <-> Baker Street related to this? What? Testing the new signalling system? If that's your question, the answer is yes. Indeed, I spent Saturday night observing in the Service Control Centre. The news is good - the testing at the weekend was largely successful with only minor issues to overcome. Management feel confident in moving to an operational proving weekend - that’s the step before going live with a public service. Does this mean we are closer to the end of the incessant weekend closures of the Hammersmith end of the Hammersmith and City & Circle? I know they are necessary but they are a royal pain. I'm not close enough or priviliged enough to give a definitive answer to that question. If things do proceed as the email from the top boss seems to suggest, then there's a weekend needed for operational proving (that's where they essentially run the full timetable within the possession but closed to the public to see if it really is ready) then another where they go live. The go live weekend is advertised as closed to the public but they'll open it up to public service on the Sunday afternoon if they are happy it's staying in. But remember, the first SMA (Signal Migration Area) is only Hammersmith to Latimer Road. A similar process will probably be needed for Latimer Road to Paddington and the each further section as they progress around the Circle line. So I would imagine there'll be further closures on the Hammersmith/High Street Kensington - Edgware Road sections. Testing has already occurred as far round as Monumemnt so I'm not sure whether the process will remain the same or change as they gain more experience with going live on each new SMA.